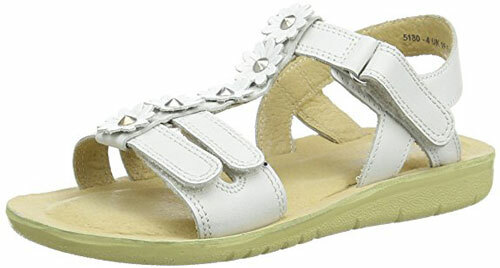 Startrite Soft Luna – Add shimmer to sunshine days with the Start-rite SR Soft Luna girls’ sandals. 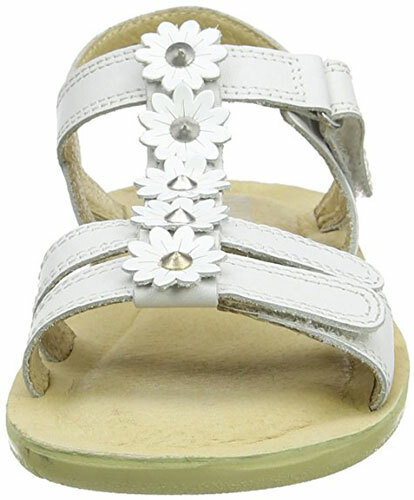 In white leather, these girls’ sandals feature applique flowers with studded centres detailing the central strap. Three riptape straps allow for an easily adjustable fit, while the padded footbed provides comfort underfoot.